KISS...Keep it simple, stupid...and it's is the perfect mantra for the summer! Start streamlining your financial life by using direct deposit: it’s safer, easier and more convenient than paper checks. Then, automate recurring bills, which can reduce the chance of incurring a late-payment fee. Also, it’s time to bank online, which keeps down account balance errors and allows you to check balances on demand. Finally, choose two credit cards and only use them. Don’t close the other accounts, because it could negatively impact your credit score. Next: Improve your savings and investing plan and put it on autopilot—if you’re putting away $50 a month, bump it to $60—that’s an automatic 20 percent increase. Consider consolidating accounts, which can simplify your finances, help avoid fees and even allow you to snag better deals. Combining accounts also can make it easier to monitor your entire portfolio and ensure that your money is properly diversified. Don't forget that many retirement plans have an option to auto-rebalance, which will keep your allocation in line on a periodic basis, without you having to do a thing! Finally, sometimes the keep-it-simple-stupid mantra means sitting still. That means, stop tinkering with your portfolio once you have set it; stop yourself from spending money, without thinking it through; and stop hoarding stuff that’s cluttering your files! Start by investing in a fireproof safe for your home in which to store important documents. While bank safe deposit boxes can be useful, remember that they are only accessible during branch operating hours, and some of your documents could require immediate access. 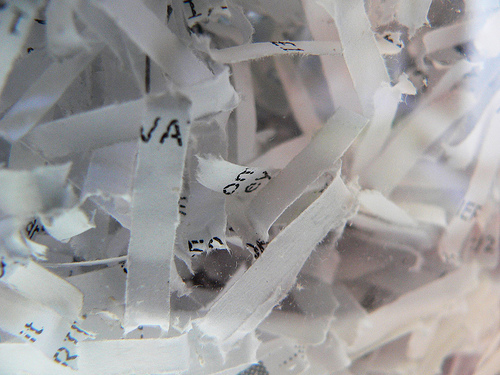 Additionally, with identity theft on the rise, it is more important then ever to invest in a good shredder. You are inviting trouble if you throw away personal documents with much sought-after personal identification and account numbers.